I had an ex-US military friend disagree with me on if the troops active in Ukraine’s Crimea could be substantiated as Russian or not. His argument was that journalists confirmed that the men were from Russia, they carry modern Russian weapons only available to the Russian military, all the vehicles are painted the same color, their uniforms are new and uniformly colored, and they sport Russian license plates. Another ex-US military friend said that, from what he saw, the uniforms were not uniform, the vehicles were not all the same, and many people own weapons they are not supposed to, even in the US. 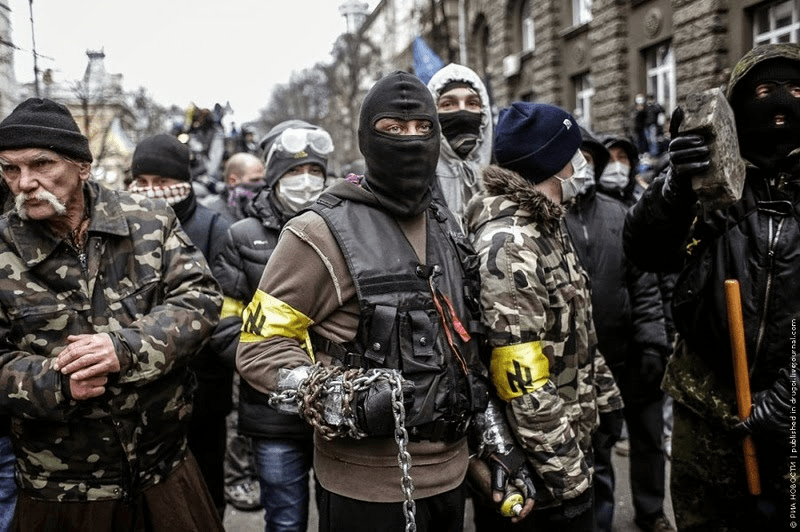 He wonders why would we think Russians and Ukrainians do not have such weapons, especially since we saw “protesters” on Maidan, and ultra-nationalists, with weapons. I do not necessarily believe the troops are Russian. I have seen no real proof to be able to say they are, or they are not. Nobody really does. They have been talking about forming such companies to use their retired military personnel for a while. Although not “officially allowed,” they have been in existence for many years. Moran Company and Slavonic Company have both been identified in Syria, You will notice in the second picture, here, they look amazingly similar to the troops in Crimea. 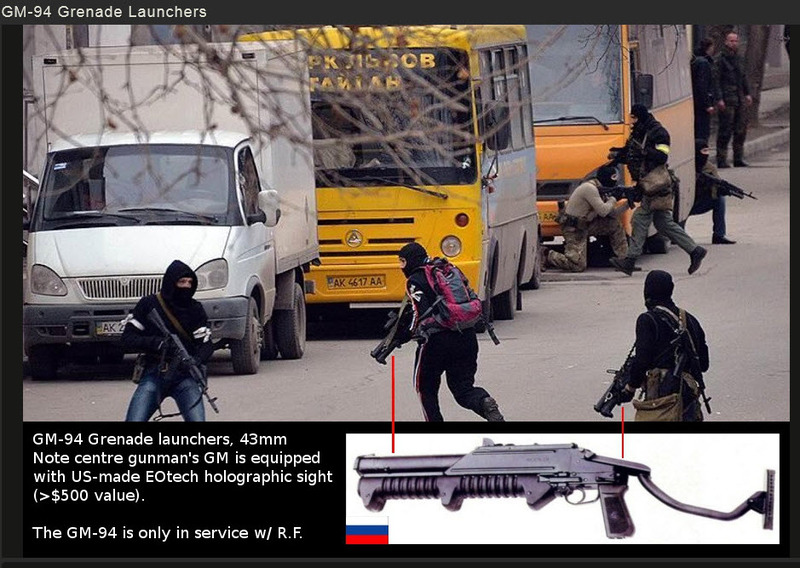 We also have non-professional “troops” in Crimea sporting modern Russian weaponry, including US made holographic sights on the weapons. This picture is from a “takeover attempt” on the Crimean parliament. I will also point out that Crimea is a retirement community for Russian and Ukrainian officers and troops. The militia they formed is well-trained, and likely well armed. If these guys are PMC troops, I would assume any answer to a journalist’s question about where they are from would be “Russia.” Putin is a smart, ex-KGB, man. If he was going to sneak forces in, he would order the men to not speak to anyone, nor say where they are from (and would take Russian license plates from vehicles). Maybe Mr. Putin is not as crazy as the West makes him to be, and maybe there are reasons Western Europe is not so quick to support America. Me thinks there is propaganda at play on the US side again.